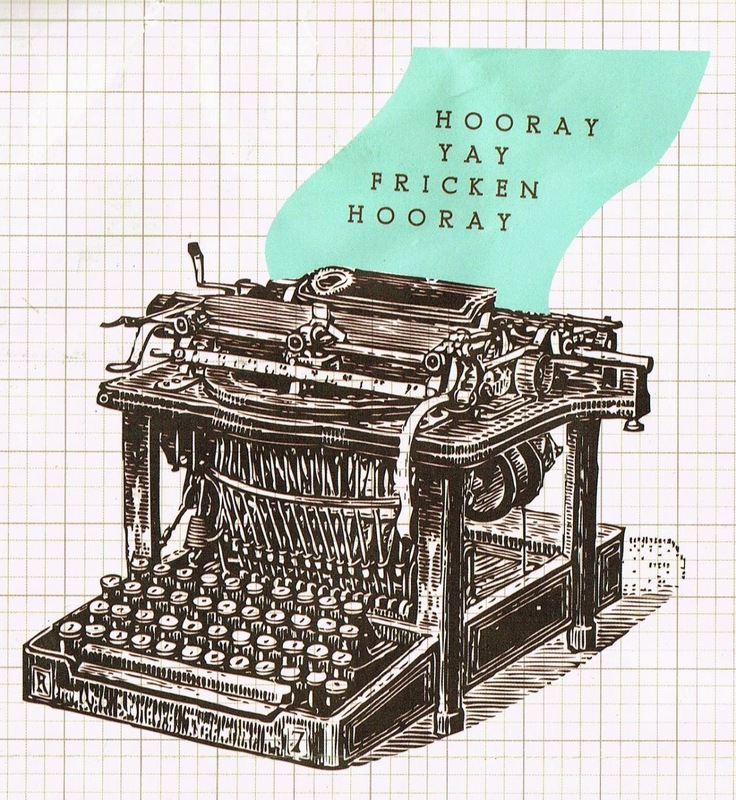 Shouts of "Hooray" did echo through the once hallowed and now empty halls of the Australian Typewriter Museum. 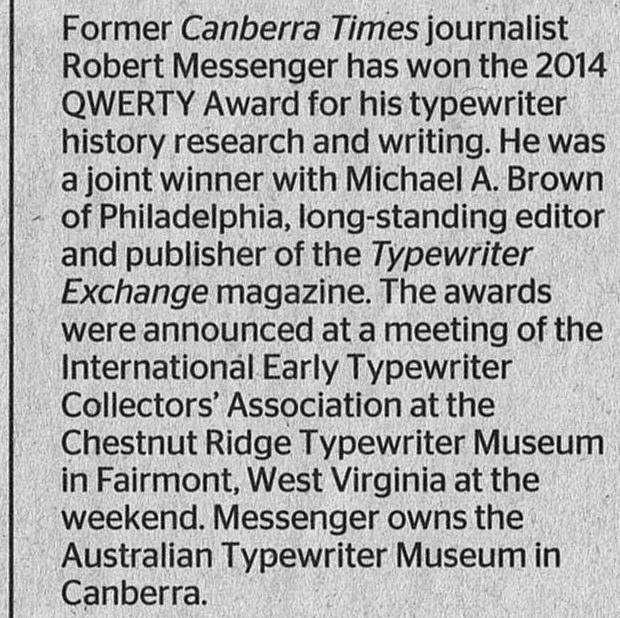 That aside, I felt, in equal measure, thrilled, honoured and humbled to receive word from the US on the weekend that I was one of two people to have QWERTY Awards bestowed upon us at the typewriter collectors' gathering at Herman Price's Chestnut Ridge Typewriter Museum in Fairmont, West Virginia. 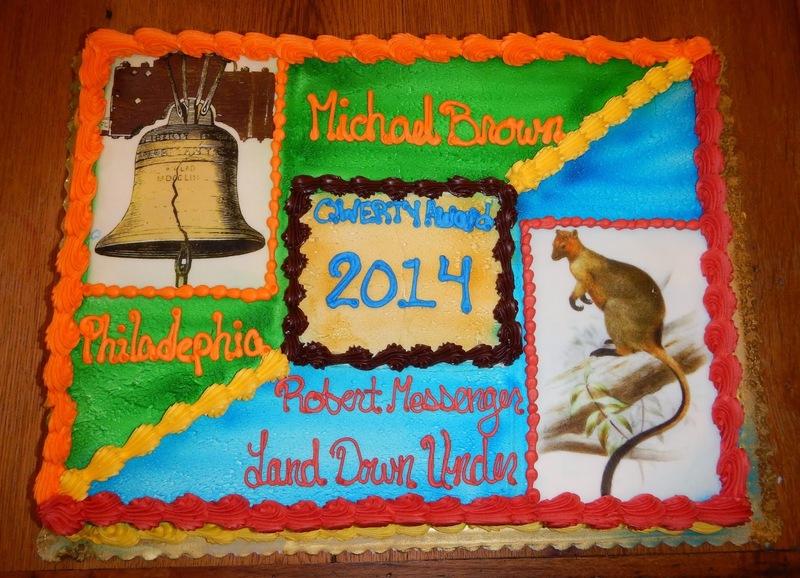 The other 2014 winner is long-standing Typewriter Exchange editor and publisher Michael A.Brown, of Philadelphia. My heartiest congratulations to Mike. 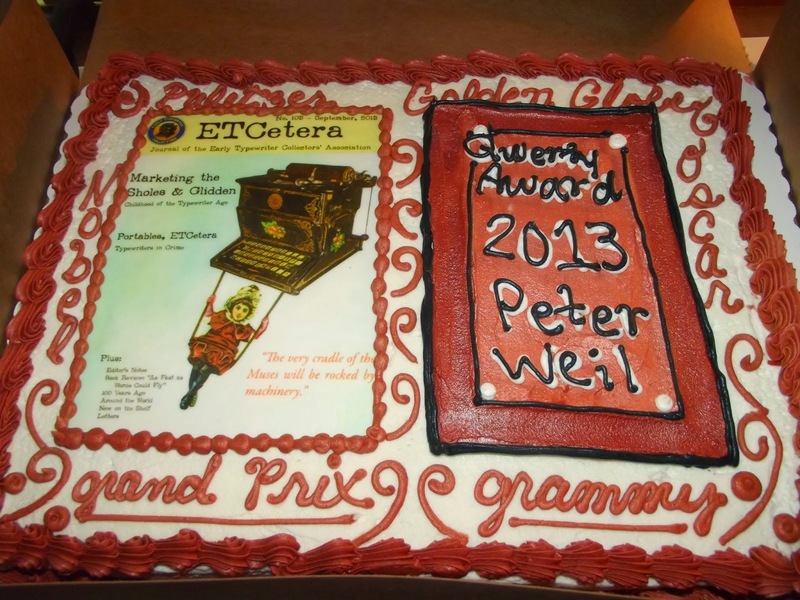 My half of the now traditional QWERTY Award cake was "Devil's food", but happily Herman put a wallaby on it, not a Tasmanian Devil. 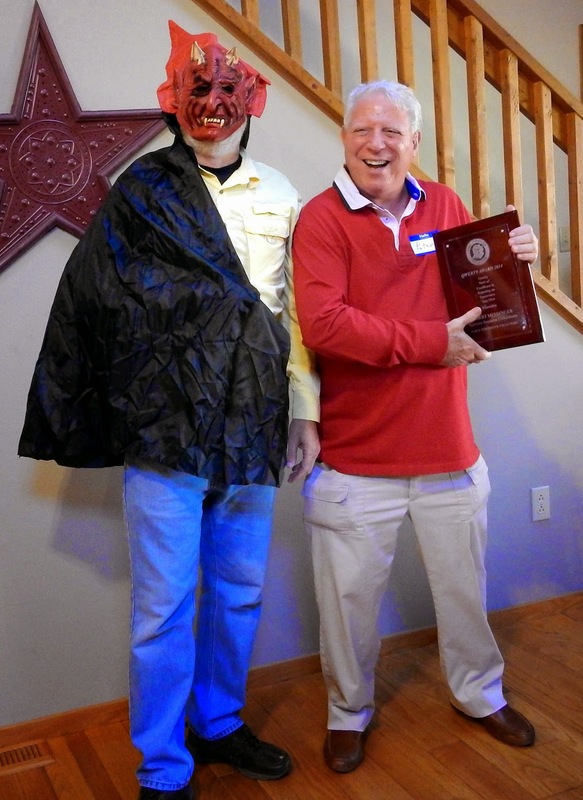 Still, he dressed up as my long-time mate "Beelzebub", to receive the award on my behalf from Peter Weil. Devil take the hindmost? As Peter remarked, "Go to Hell, Bub!" 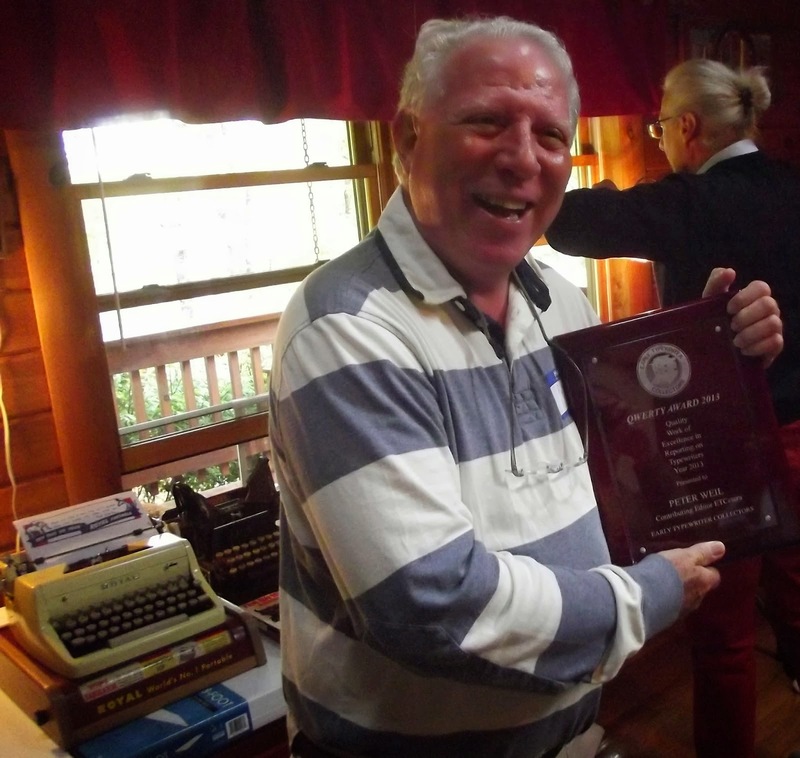 It would have taken a devil of a job for me to get back to West Virginia, to receive the award in person. If I had made it there, I would doubtless have stayed on in the US for another once-in-a-lifetime experience, to watch the All Blacks play in Chicago next weekend, thus missing my son's wedding here in Canberra on Saturday. So perhaps it's just as well I didn't go! This well-crafted medal and framed Blick photo were given to me by John Stephens and his wife Marita. John is no keychopper - he'd found some spare parts Nakajimas lying around to make the medal. They were put to use in, for once, a good cause! 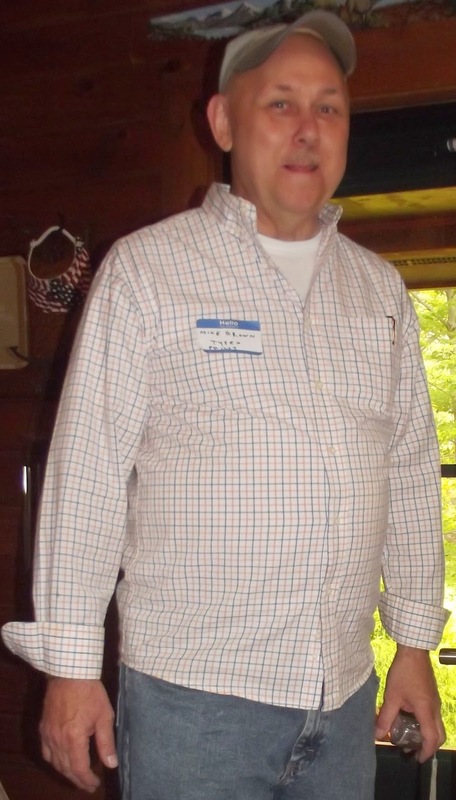 To help bring back memories of West Virginia 2013, I wore my Cincinnati "pimp" jacket. This came later - a "masters" ETC jacket. My friends know I like to wear my love of typewriters on my sleeve! Ah well, these things do happen only once in a lifetime, so I figured I might as well enjoy it to the hilt, where and while I could. A very hearty CONGRATULATIONS! to you Robert. You are very deserving of the award. 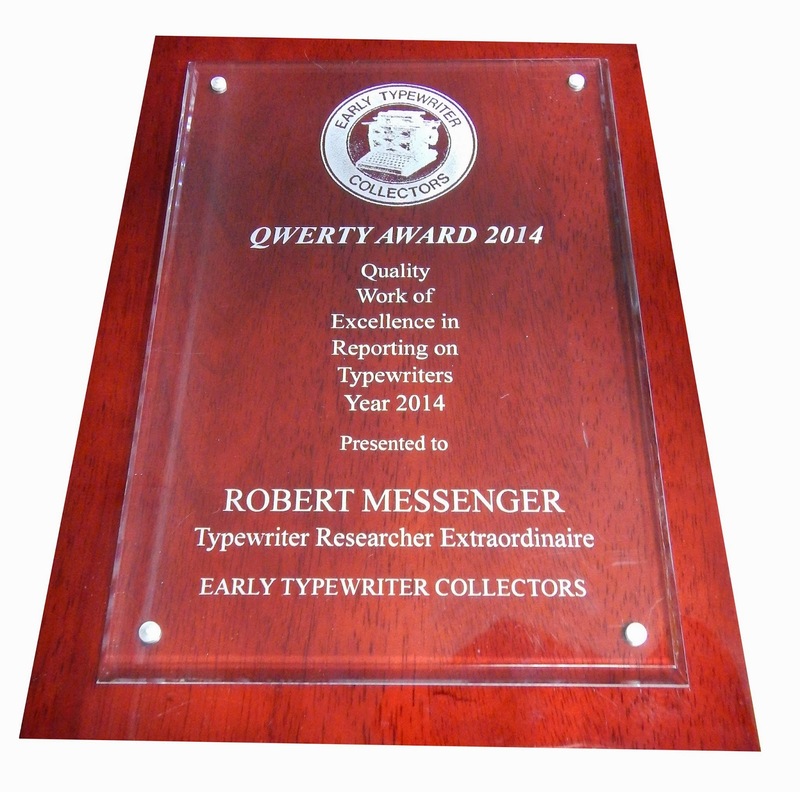 I can't think of anyone more deserving of that award, Robert! 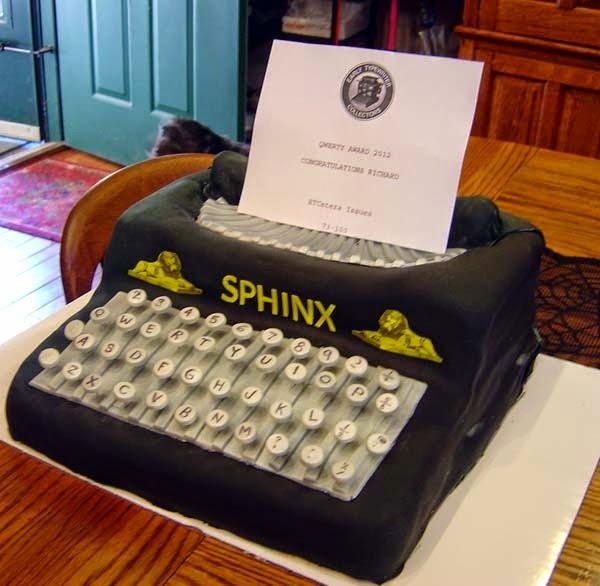 Congratulations, and thanks a lot for fleshing out the story, history and lore of the typewriter for us, your fans. Congratulations!! And enjoy the wedding on Sunday! Of course you would win! Not many people have done as much as you have, and sooo well!!! We love you Robert. 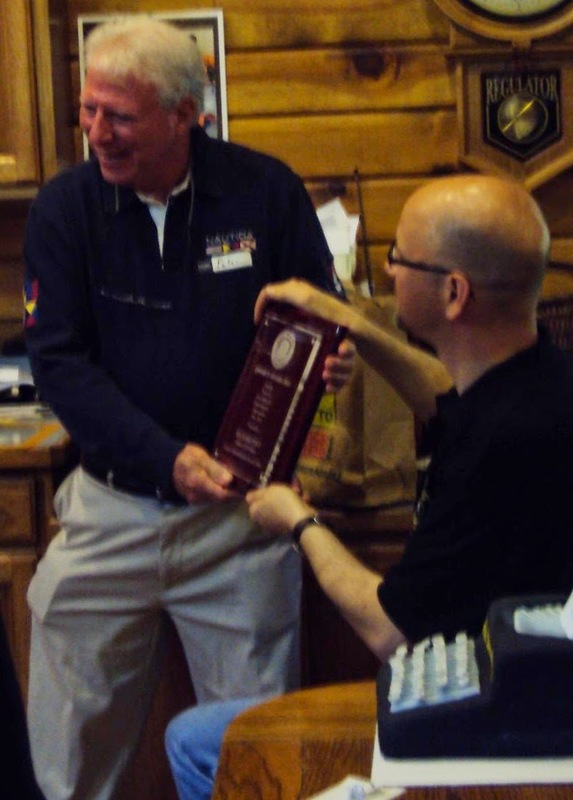 Congratulations Robert! Well deserved. 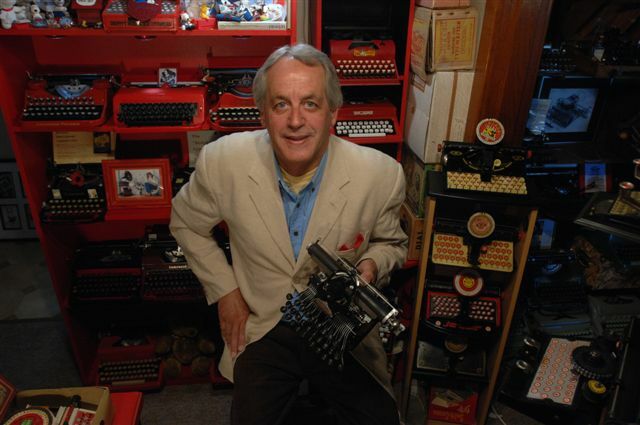 Make sure to check your facebook messages to see a link I left you regarding a new book out that focuses on typewriter stories. Cheers, Marilyn.